If you look up the dictionary definition of fly fishing, it will say “the sport of fishing using a rod and an artificial fly as bait,” but any angler knows this sport goes well beyond this simplified explanation. Fly fishing is one of the most unique and complex angling methods. 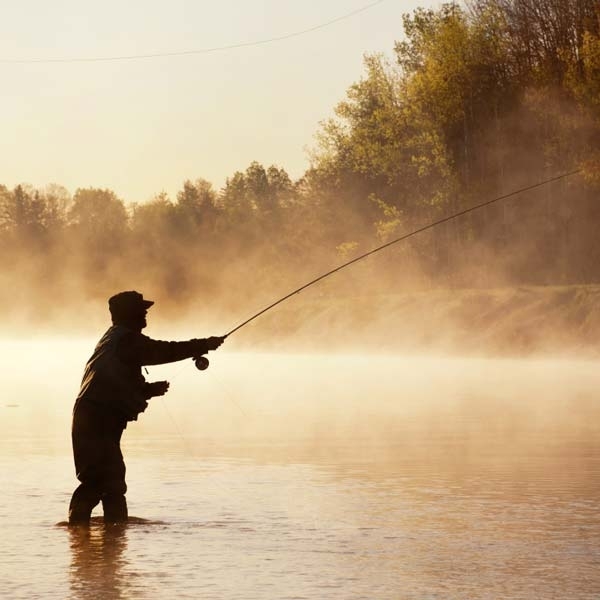 Unlike traditional casting, fly fishing relies on the weight of the fly line to toss a virtually weightless artificial fly onto the surface of the water. It’s a very different technique designed to imitate the natural skirting motions of insects to trick the fish into taking the fly. 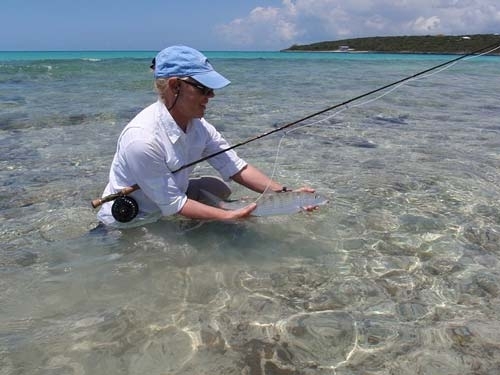 If Saltwater Fly Fishing is your game, learn more here! Achieving this effect can take plenty of hard work, practice and dedication because there are a lot of pieces that need to effectively come together for fly fishing, from your basic equipment to the way you cast. 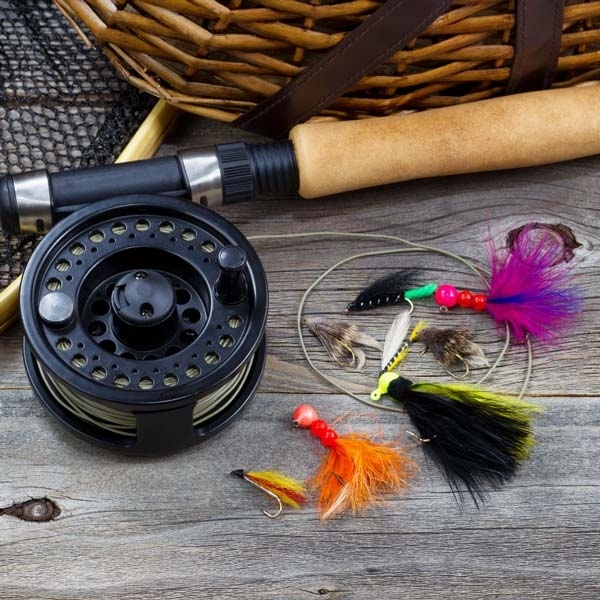 Whether you’re a seasoned fly fishing angler or a beginner just starting out, there are some basic guidelines to keep in mind when it comes to picking out your fly fishing equipment. There are a lot of options out there, including some that can either save you money or just break the budget. If you’ve been fly fishing for a while and know what you’re doing, investing in top of the line equipment can be worth it, but when you’re just starting out you won’t need the best of the best. Take caution, since choosing the least expensive option can literally ruin your fly fishing experience. Choose medium level equipment to practice with while you’re learning, then consider upgrading down the road. 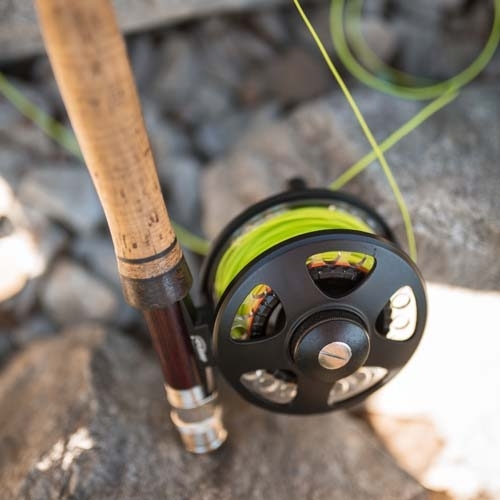 Your fly rod and fly reel are the core components of your fly fishing equipment. Choose these first, because they’re going to build the foundation for the rest of your equipment. When you start looking around, you’ll find that fly rods come in different weights and lengths. This will become more important as you learn the sport and need to modify your technique and equipment for different fish in various locations; but for now, a basic, general purpose fly rod will do the trick. Once you have a rod, you will need a reel. The weight of your fly rod must be matched to your fly reel in order for them to perform properly. This will make more sense as you learn how to fly fish, but for now ask a professional for help as you’re browsing or select a basic setup, called a “Fly Rod Outfit,” that has already been matched for you. Just make sure you avoid plastic reels; the plastic isn’t durable so the investment won’t be worth it, but an aluminum reel is a solid alternative. Fly fishing vest to hold your gear. Fly fishing net to grab and protect the fish. Waders to keep dry when you get into the water. Polarized sunglasses to protect your eyes and make it easier to see beneath the water. Getting your gear set up correctly is essential if you want to have success while fly fishing. 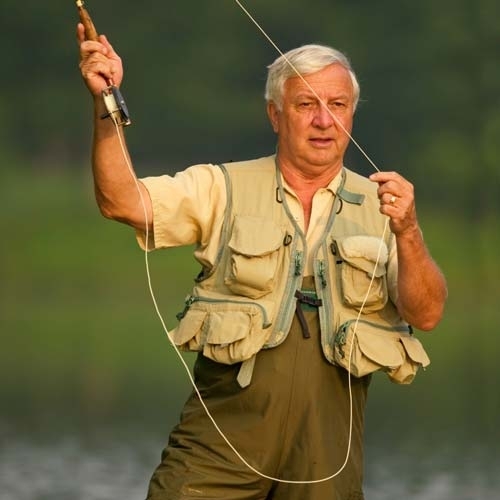 First, keep in mind that your fly fishing set up is different from a standard fishing set up. You are using a weightless fly on the end of your line, not weighted bait, so you will be relying on the weight of your fly line to make the cast out onto the water. With that said, there are key mechanisms involved with your fly fishing equipment that must cooperate to make this happen. The fly line provides the weight you need to cast your fly. The fly backing is the longest portion of your fly line and is what fills up your reel. Both the fly line and the fly backing are usually thick, heavy, and brightly colored. The leader connects your fly line to the fly and transitions the fly line to the tippet. This keeps the fly line from being visible to the fish while the fly skirts in the water. The tippet attaches the leader to the fly and is virtually invisible in the water, which lets you present the fly without the fish realizing it’s attached to anything. As we mentioned previously, the weight of your fly rod and fly reel will need to match in order to perform the way you want them to. This same general concept applies to the rest of your fly fishing equipment. You’ll find various different sizes for the fly line, fly backing, leader and tippet, so you want to choose the right ones based on the size of your rod and the type of fishing you plan to do. Dry flies float on top of the water, mimicking a natural adult-stage flying insect. Nymphs mimic the larvae-stage of aquatic insects and float at, or just below, the surface of the water. When it comes time to cast your fly into the water, there are a number of different casting techniques you can use. Just like how you decided on your fly fishing equipment and fly, you want to consider where you want to fish, and what fish you want to catch. As you learn different techniques you’ll find you have your own personal preference, but when you’re first starting out it’s best to stick with a basic overhead cast., This simple cast focuses on creating a U-shaped loop through a combination of a back stroke and a forward stroke that will use the weight of your fly line to propel the fly out into the water. Remember, fly fishing is one of the most complex angling methods, so don’t feel disheartened when you’re first learning if you can’t quite get it right. Practice your technique as often as you can and you’ll steadily begin to master it. And while you practice, try to simply enjoy the experience. Every cast is part of your fly fishing journey.